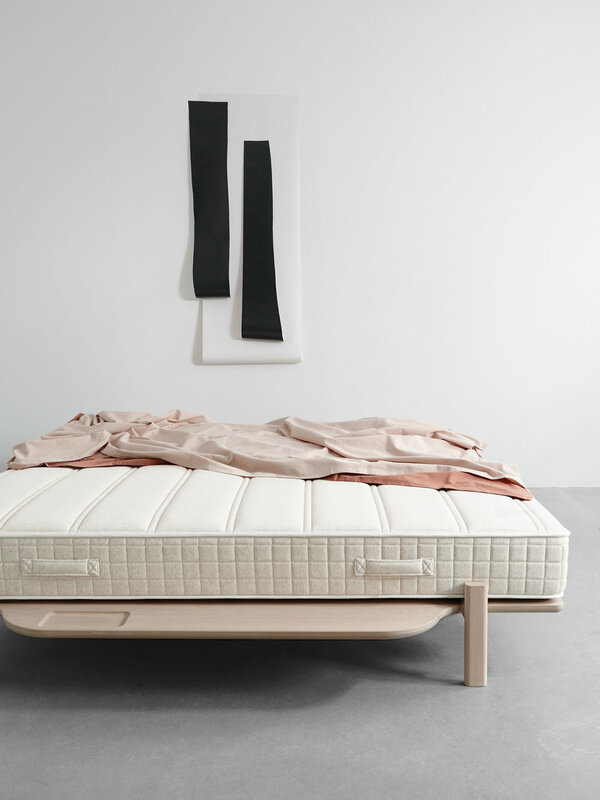 Together with a family business in Belgium, Loof put together the Morning Mattress. The result is a pocket spring mattress consisting of high quality materials in an apparently soft jacket. For their Morning Mattress Loof searched for people that share the same commitment to creating high quality products - like Loof does when developing and making their wooden beds. After a long search, Loof came across Filip & Peggy in Belgium. They run a small-scale company and are experts when it comes to pocket spring mattress. So what does a good pocket spring mattress offer? Comfort, comfort and again comfort. Therefor Loof’s Morning Mattress is devided in 7 zones where each zone has their own function. In that way the pocket springs will piece by piece adapt themselves to you. Another big advantage with the pocket spring mattress is the extraordinay ventilation. The choise of materials is also very important. As well for the comfort of your mattress as the lifespan. For Loof durability and evironmental friendliness are their biggest concerns. Therefor the cover is made of cotton and linen. Honest and natural materials that conduct heat away and depose moisture. These fabrics provide strength and breathabillity. We love the Morning Mattress because they are made of mostly local and natural materials. The different components are collected from the Netherlands, Germany and Sweden. Besides, they come with an extremely soft and refined cover. So beautiful that you can’t ignore their look.